UNDER CONTRACT: JUST 5 DAYS IN MLS! Welcome to St. Albans Wood! This 2 bedroom 2.5 bathroom 1070 square foot townhome built in 2011 by Duration Builders is open and airy and features 10′ ceilings; gorgeous kitchen with granite countertops, custom cabinetry, and stainless steel appliances; crown molding in the living room; and wood and tile flooring throughout the main living area. Enjoy two spacious master suites, each with a walk in closet and a private bath. The downstairs master bedroom also has a sitting area. Residents of St. Albans Wood and the larger Turkey Creek neighborhood enjoy amenities such as a community pool, driving range, playground, tennis courts, batting cage, and baseball diamond. Exterior and grounds maintenance of this property is managed by the HOA — perfect for those who prefer a low-maintenance lifestyle. The St. Albans Wood and Turkey Creek neighborhoods are abundant with wildlife, including deer, raccoons, foxes, and hawks. Publix Supermarket is just a short drive away in the Hunters Crossing shopping center. M&S Bank, Starbucks, and Piesano’s Stone Fired Pizza are also located here. St. Albans Wood is convenient to Devil’s Millhopper and San Felasco Hammock state parks, providing lots of opportunities for hiking and biking. Just 12 miles to Shands and the University of Florida, St. Albans Wood and Turkey Creek are zoned for Alachua Elementary School, Mebane Middle School, and Santa Fe High School. Prospective residents of St. Albans Wood are encouraged to contact the Alachua County School District Zoning Office at 352-955-7700 to verify school zoning. 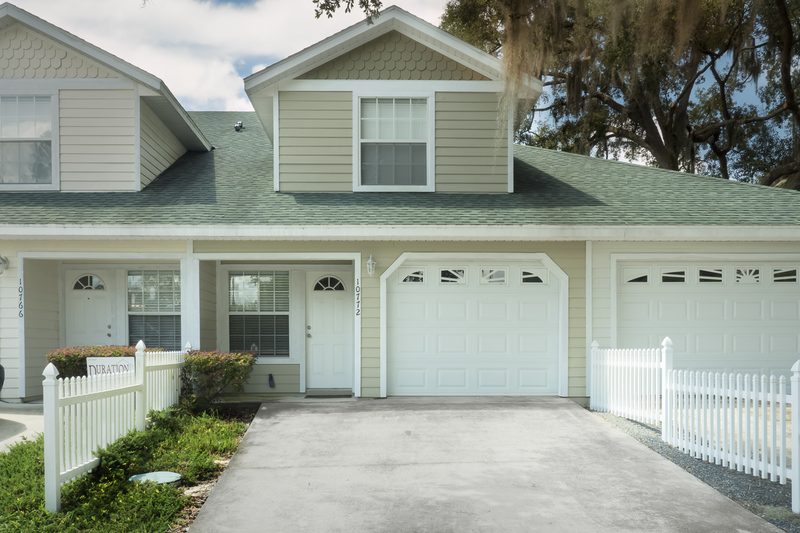 Upscale finishes, competitively priced, and move-in ready, this St. Albans Wood townhome offers respite from “the real world” while being close to all that Gainesville has to offer. Interested? Click on the link for full details about 10772 NW 65th Way, Alachua FL 32615: MLS 356225.